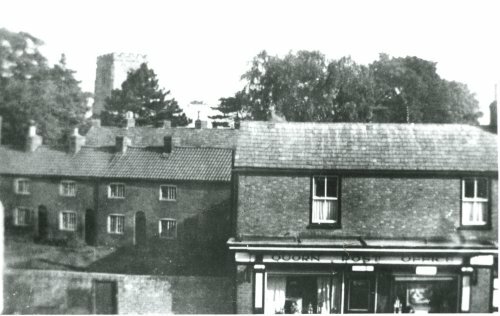 These old cottages stood at the back of what was Quorn Post Office (now the shop in The Cross). The cottages behind them were known as Nut Row. In the distance is the church tower. In 2008 a new building was added, filled in the gap on the left of the old Post Office.